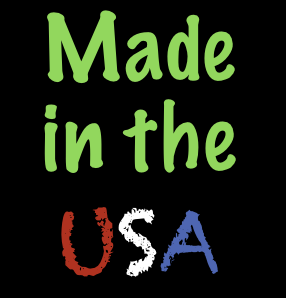 Yacht Masters Distributors, Inc. announces the availability of our ENVIRONMENTAL PROGRAM that provides dealers, retailers, and distributors a set line of environmentally safe products for use on your boat, docks, and marinas to preserve our waterways. Marine wash, rain, and cleaning your boat bilge all create oil slicks on the surface of the water. Boat and marina owners face many challenges protecting our environment when cleaning, lubricating, and improving boat performance. Fuel and oil spills happen either accidentally or are unavoidable when it rains as water has the habit of getting anywhere and everywhere, washing off contaminates into our waterways. These same oil slicks below don’t occur with just rain, every day boat owners clean their bilge pumps or the bilge pumps run automatically, the water run-off from cleaning your boat is the same: oil and fuel contamination into our waterways. Yacht Master Distributors can help change this. Yacht Masters Distributors ENVIRONMENTAL PROGRAM provides dealers and distributors the ability to stock retailers, marinas, and boat repair contractors 14 different products that are environmentally safe yet are very high quality and work as advertised. To clean boat bilges, provide marina land remediation (which means treating the marina land to eliminate fuel and oil contamination when it does rain or flood), plus clean-up oil and fuel spills, the Yacht Masters Distributors Environmental Program offers DE-OIL-IT. 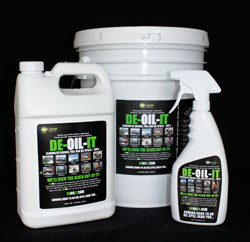 DE-OIL-IT is the ONLY DEGRADER of fuels, oils, and grease on the market. DE-OIL-IT can be applied on fuel and oil spills to immediately neutralize toxic vapors thereby providing fire extinguisher protection (even if the fuel or oil contaminate is already ignited). DE-OIL-IT molecularly changes the fuel, oil, or grease configuration to completely render the contaminated spill into a NON-TOXIC, NON-HAZARDOUS, and ENVIRONMENTALLY SAFE condition. The US Coast Guard has approved DE-OIL-IT for emergency fuel and oil clean-up on boats, docks, marinas, and directly on our waterways. Every boat owner, every marina, and every boat mechanic should have DE-OIL-IT available and on-hand for safe maintenance cleaning and to use for oil / fuel spill clean-up. SOON THE EPA WILL REQUIRE ALL COMMERCIAL AND RECREATIONAL BOATING, AND MARINAS, TO SAFELY PROTECT THE ENVIRONMENT REGARDING CLEANING, MANAGING SPILLS AND RAIN RUN-OFF. DE-OIL-IT TODAY COMPLIES WITH ALL CURRENT EPA WATERWAY COMTAMINATE ENFORCEMENT (California) and CURRENT PROPOSED LEGISLATIVE DIRECTION OF THE EPA. WHEN YOU HAVE DE-OIL-IT ON-HAND IN YOUR BOAT YOU WILL EASILY COMPLY WITH ALL EPA MARINE REGULATIONS. Yacht Masters Distributors ENVIRONMENTAL PROGRAM provides the following product lines and offerings that differ only in quantity of products. Our goal for retailers was simple – don’t require a high volume initial purchase of products; our 4 retailer sets are reasonably priced, have just the right number units for display, and does not tie the retailer into full case allotments that other distributors typically enforce. BASIC – 34 separate product units, enough to have 3 deep on display. Includes sturdy cardboard display, products, signage, and pamphlets. DELUXE – 47 separate product units, enough to have 4 deep on display. Includes sturdy cardboard display, products, signage, and pamphlets. PREMIUM – 68 separate product units, enough to have 6 deep on display. Includes sturdy cardboard display, products, signage, and pamphlets. DE-OIL-IT Use for safe maintenance cleaning such as bilges, decking, and dock area. Can be used as a fire extinguisher for grease, oil, and fuel spills. Is approved by the US Coast Guard for clean-ups of waterway oil and fuel spills. INOX Use for safe lubrication of boat parts, hinges, fishing tackle, and more. The environment program provides regular INOX which is a food grade lubricant, and LANOX which is an industrial strength lubricant that resists the effects of the harsh outdoors and weathering. And we provide Inox Battery Conditioner that works to restore, prolong, and time-protect self-maintenance batteries; by using this product the battery owner receives an extra one year on their battery warranty. FUEL MEDIC The only fuel additive on the market that solves fuel problems where they start and that is water in the fuel system. Water is the culprit resulting in gumming, algae (diesel), and fuel break-down over time. There is a fuel medic solution for in-board and out-board motors. Your fuel system’s performance will increase; you will get greater power, smoother running engine, prolong the “shelf-life” of your fuel, and eliminate smoking.